Let me tell you one last story before I depart to Bangkok for a few days. Looking back at 2012 and the multitude of Travel Ideas stories … I kind of envy the previous position whereby I used to travel on almost a weekly basis; covering regions after regions in the country. And all the while walloping a truckload of the best Malaysian food. Things have changed significantly, and two months into the new year and I have yet to step out of Klang Valley. Aside from the CNY festive break whereby I spent a quality week back in my hometown of Ipoh; where this blog was born. Starting work almost immediately after the celebration; the cravings for a home cooked feast plus the sound of fireworks from the neighbourhood was sorely missed. True, they do play with much more bombastic fireworks here around where I stay … yet, the pleasure in knowing that you’re nibbling on Mum’s fresh-from-the-wok snacks while watching the re-run of re-runs of Chinese films from the yesteryear’s is priceless. 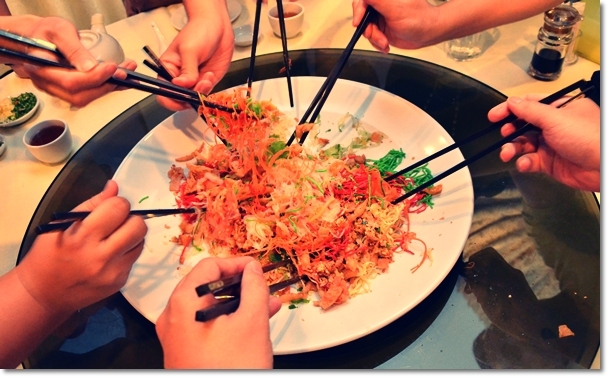 This story details the 7th day of the Lunar calendar; also known “Yan Yat” or People’s Birthday and how we spent the evening tossing Yee Sang at Gao Ren Guan in Jaya One. 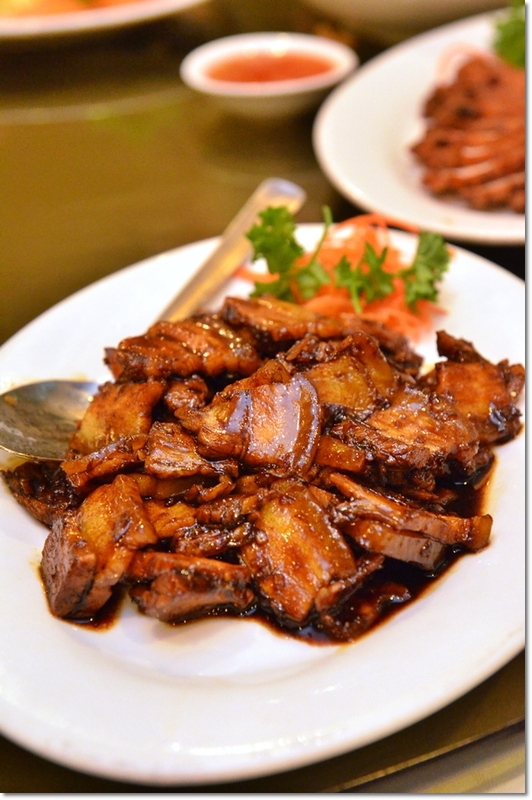 Sourcing for a satisfying Chinese feast during the CNY in KL/PJ is far from a walk in the park. More often than not, the restaurants will slaughter you left, right and centre (price hike ma … Chinese New Year people tend to work half a month only …). Or they resort to delegating the foreign workers to whip up a storm for you. Maybe that should be a storm in a teacup. But whatever. The truth is .. it’s agonizing on picking a place that pleases both the palate and the wallet. Had one feast a few days after at New Paris in SS2; one of the gold standards (or ex-gold standard?) in the vicinity, yet faltered miserably in my opinion. Maybe I was expecting so much more from them. Aside from the incredibly rapid service (7 dishes in succession within a span of 5 minutes! ), the dishes received lukewarm responses. Maybe a few hits; the deep fried octopus was an okay snack, but the steamed grouper, chicken with watermelon balls and stir-fried ‘la la’ clams were disappointing. Once again, I sidetracked. This was supposed to be a review on Gao Ren Guan; a Hakka cuisine specialist at Jaya One. And they did deliver somewhat, with more hits than misses. To start off with, the price is very reasonable in my opinion, though the portions could have been larger to accommodate the 8 hungry souls. In a nutshell, the Yee Sang (with jellyfish instead of salmon since one in the group does not eat fish) was satisfactory, and the ensemble of essentially home-cooked Hakka dishes (at the very least mirroring the real deal cooked by your grandma) managed to tantalize our tastebuds. Of specific note was the Grandpa Special Stir-Fried Eggs and the Grandpa Special Braised Pork Belly. Unconventional names yes, should be something along the line since I did not manage to take down the exact names. 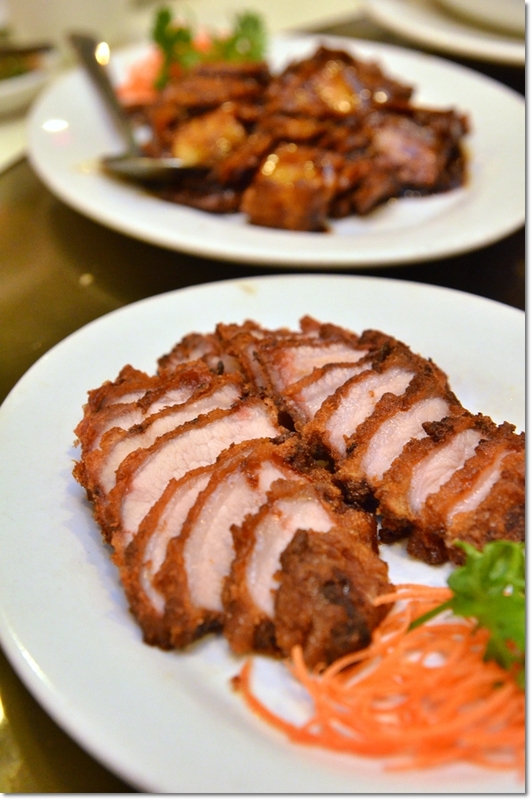 The Hakka-inspired fried pork was delicious as well; and should go down well with the kids, should there be any. 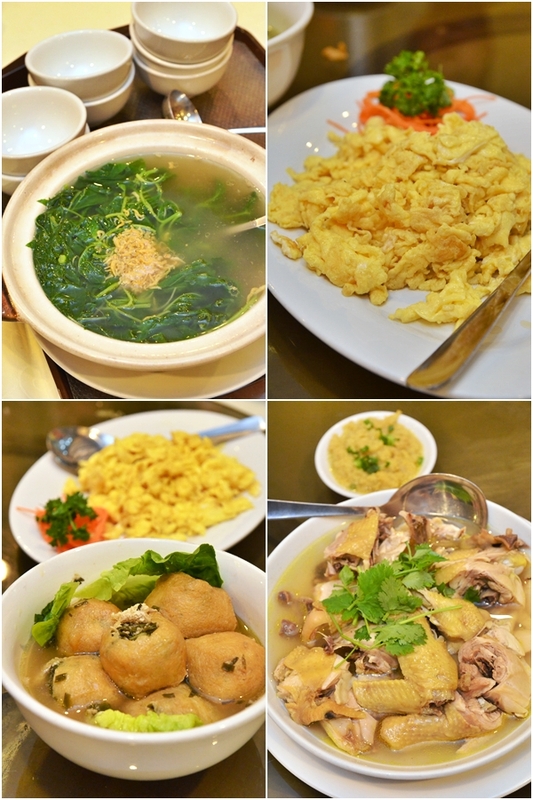 There were also stuffed tau fu pok (beancurd pouch with fish paste), a serving of herbal salted chicken and spinach in superior soup. Everything was passable, and nothing was particularly disappointing throughout the dinner. Except, well … maybe the extended half an hour wait for a table in spite of the prior reservation. And the fidgety young boss whom could not wait to close shop when the three tables were still joyfully chatting away, some over red wines. The meal came to about RM30 (USD10) per person, including of a pot of Chinese tea and white rice. Gao Ren Guan holds a very dear position in the heart of the young generations running the establishment I suppose. You can go through their story HERE. 07-01 & 09-01, Jalan Kenari 18B, Bandar Puchong Jaya, 47100 Puchong, Selangor. 43, Jalan SS15/4E, 47500 Subang Jaya, Selangor. M-10-G, Palm Square, Jaya One, 72A, Jalan Universiti, 46200 Petaling Jaya, Selangor.